We're told stories about creative geniuses - the young Mozart who effortlessly overshadows the hardworking Salieri; Paul McCartney coming up with the tune for Yesterday in a dream one morning; JK Rowling finding inspiration for Harry Potter sitting on a train to London. What we aren't told is the actual story behind such hits. In fact there is a science and method for mainstream success, whether writing a popular novel, starting a company or creating an effective marketing campaign, and in this book Allen Gannett - data wizard and successful entrepreneur - reveals the four laws of creativity that are proven to work. 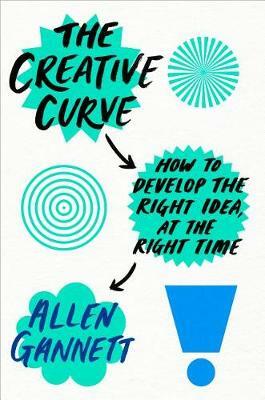 Buy The Creative Curve by Allen Gannett from Australia's Online Independent Bookstore, Boomerang Books. ALLEN GANNETT is the founder and CEO of TrackMaven, a marketing analytics firm whose clients have included Microsoft, Marriott, Saks Fifth Avenue, Home Depot, Aetna, Honda, and GE. He has been on the o30 Under 30o lists for both Inc. and Forbes.